Congratulations to current student Ryan Remick, who was drafted in the 13th round, 256th overall by the Guelph Storm of the Ontario Hockey League. Ryan, a forward for CIHA White finished tied for 11th in scoring among rookies in Hockey Eastern Ontario (HEO) with 42 points in 43 games. He was also among the top rookie goal-scorers with 23, which put him in a tie for 7th. 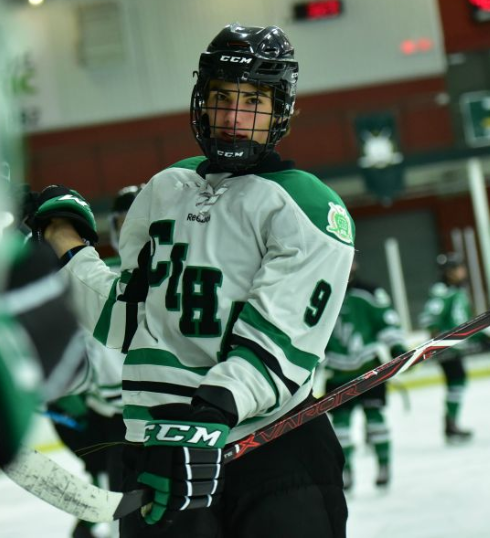 The Sparta, New Jersey native is in his 2nd season at CIHA after putting up 27 points in 30 games last year at the Bantam AAA level.